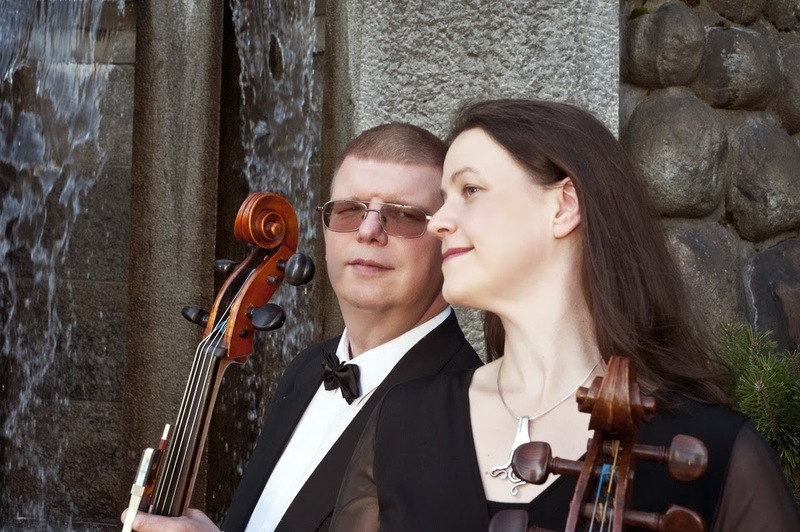 Having been an active duo since 2000, the Anna-Maaria and Olli Varonen Cello Duo has performed hundreds of concerts throughout Finland as well as in the Czech Republic, Spain, Sweden, and on several occasions in Budapest and elsewhere in Hungary. 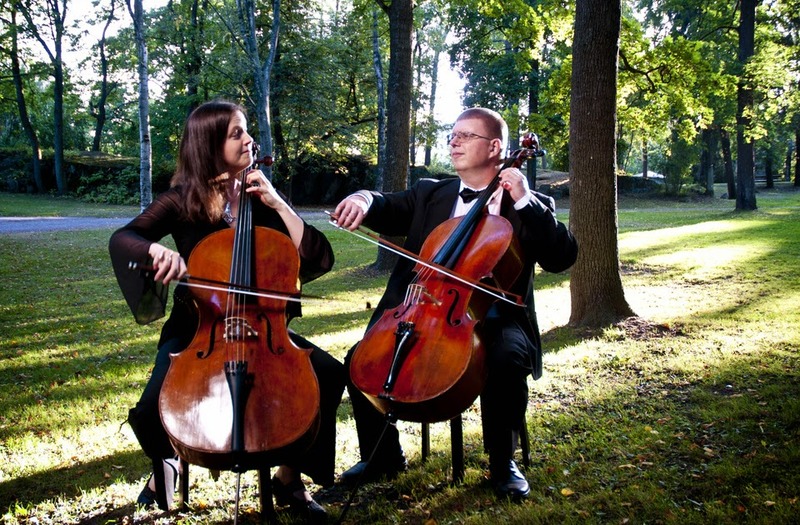 Performing as a cello duo has been the Varonens’ main occupation for several years. The duo published their first CD in 2005 and in 2006 Anna-Maaria and Olli were invited to play a number of their own for opera singer Pirkko Talola’s CD. “A Portrait of Two Cellos” and “Protected” (Suojeluksessa) were recorded in July 2013. Both were published in November 2013. Anna-Maaria (1978) has studied at the Salo College of Music, Jyväskylä University of Applied Sciences, and most recently at the Liszt Academy in Budapest as a student of Professor László Mezö. In addition to duo performances, Anna-Maaria also has performed extensively in other chamber music ensembles, both in Finland and abroad. Olli (1965) has studied with The Helsinki Strings, at the Sibelius Academy and at the Liszt Academy. He has given concerts as a chamber musician performing solo and as a soloist in 11 European countries, the USA and Singapore. It is amazing how much has been composed for cello duos dating back to the end of the 17th century up to today. Moreover, a cello duo is able to naturally play pieces originally composed for other types of instruments and ensembles. For this particular disc, we have chosen pieces from around Europe and from different periods in time. Couperini, the court composer of Louis XIV “the sun king”, offers his regards. We also hear sentiments from the court of Eszterházy where Haydn worked for 30 years before settling in Vienna. Boccheri represents the Italian master composers; indeed, people in his time came to know him as an excellent cello artist in particular. There are also samples of Hungarian folk music in the form of Bartók’s dances. “Series for Two Cellos”, which was created in two phases: “Prelude” and “Gigue” were written as early as 1989, and they were included in our repertoire in 2011. The reception by the public all around Finland was so good, and the enthusiasm of both the composer and our duo was so great, that we created three more parts at the end of 2012. Played by our duo, the new, 5-piece series had its premiere in Salo, Finland in March 2013.